Titles have never defined who Roger Federer is, although, if they did, they'd have a lot to say for him. 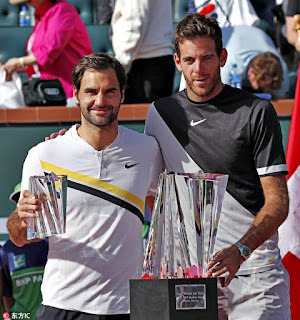 The Swiss right-hander was three times a swing away from winning his 28th ATP World Tour Masters 1000 crown and his 98th tour-level title on Sunday against Juan Martin del Potro during the BNP Paribas Open final in Indian Wells. But Del Potro erased all three championship points and captured his maiden Masters 1000 title 6-4, 6-7 (8), 7-6 (2). 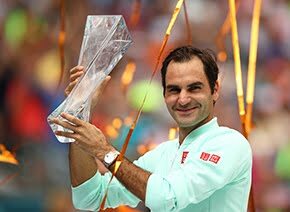 Federer, however, long ago learned to achieve contentment in life, despite some on-court disappointments here and there. The 36-year-old Swiss said he achieved such peace years ago, shortly after he began to make his mark on the ATP World Tour and at Grand Slam tournaments. “I have been content for a long, long time on the Tour. I guess ever since I became world No. 1 back in 2004 and won Wimbledon in 2003, my life was complete as a tennis player. Those were my dreams as a little kid,” he said. Federer said that's why he still enjoys most things about the tour life. “That's why retirement can wait, and I'm just really enjoying the ride. I'm really having a good time on the Tour,” Federer said. 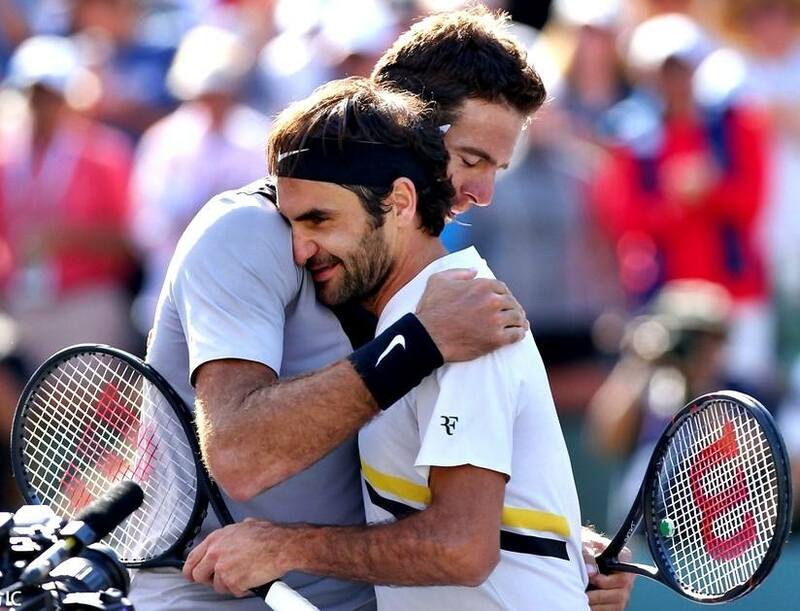 It's easy to forget that Federer has had tough moments during his career, times that have taught him how to stay positive regardless of the outcome on the court. After falling to Del Potro in the season's first Masters 1000 final, Federer spoke at length about his attitude. “I think staying positive through the tough moments is really key. Because you're always going to go through ups and downs in your career, or as a person for that matter. Not every day is sun shining. It's sometimes a bit of a struggle and important that you take the right decisions, you surround yourself with the right people, you're happy with what you have,” Federer said. Federer's outlook has helped him move on from losses. His 17-match win streak to start the 2018 season - the longest of his career to begin a year - was snapped against Del Potro. But the World No. 1 knows he won't have a lot of time to dwell on the match. The season's second Masters 1000 tournament, the Miami Open presented by Itau, starts on Wednesday. Federer is the defending champion there, too. “I feel frustrated, you know, that I let an opportunity like this go by. 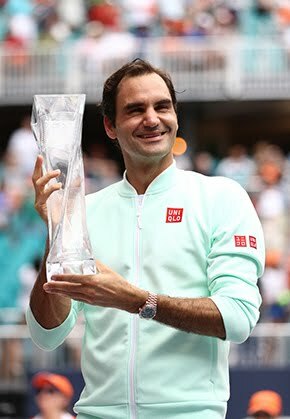 Serving 40/15, any game I probably win - I don't know what the stat is - 90-something per cent,” Federer said of his lead at 5-4 in the third set. “So it should sting, like you said, for a bit. The question is how long? It won't be long, but it's disappointing talking about a great match like this, losing, even though I was right there. “Obviously there is not too much time to dwell over it. Like I said, I'm happy for Juan Martin. It's a tough one. And I still had a good week here. I still see the positives at the end of the day.